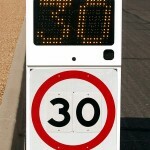 RU2 designed the Fast-500 Radar Speed Sign for easy positioning in areas where pedestrian safety is a concern. 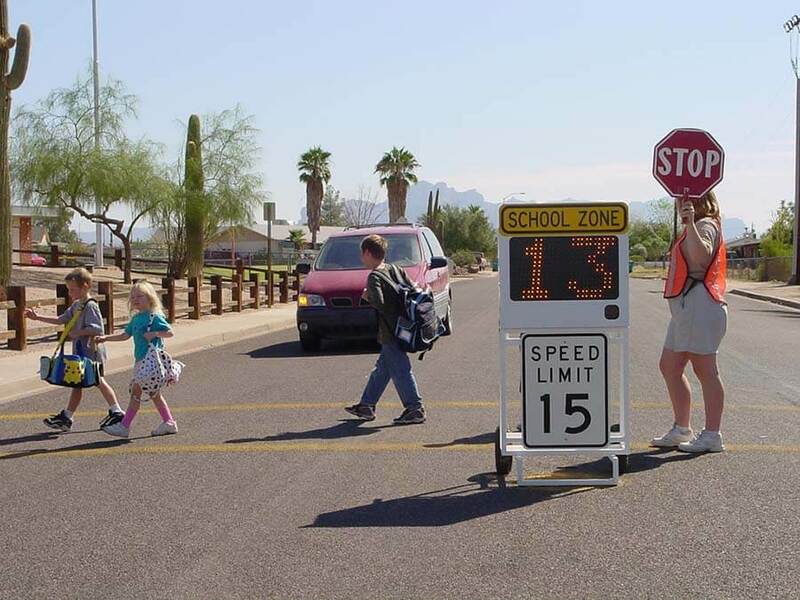 Placed in school zones crosswalks, parking lots, valet approaches and similar scenarios, oncoming drivers are gently reminded of their speed while not losing sight of pedestrian traffic. 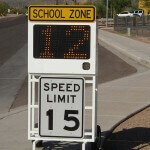 The “Flashing Digit” violator alert, a standard feature, sends a stronger message to the “less observant” among us. The 12” high, full matrix amber LED characters automatically adjust their brightness to ambient light conditions. The display is protected by a smoked, non-glare GE Lexan shielding for maximum security and optimum view ability, even in direct sun light. 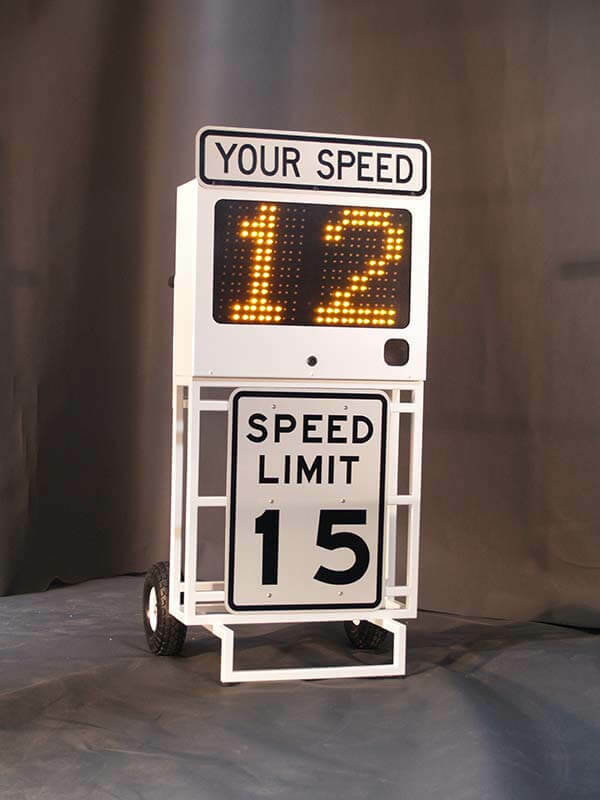 This K-band speed radar display is accurate to within one mile per hour and can optionally be delivered to read down to 1 MPH, very appropriate for some industrial applications. 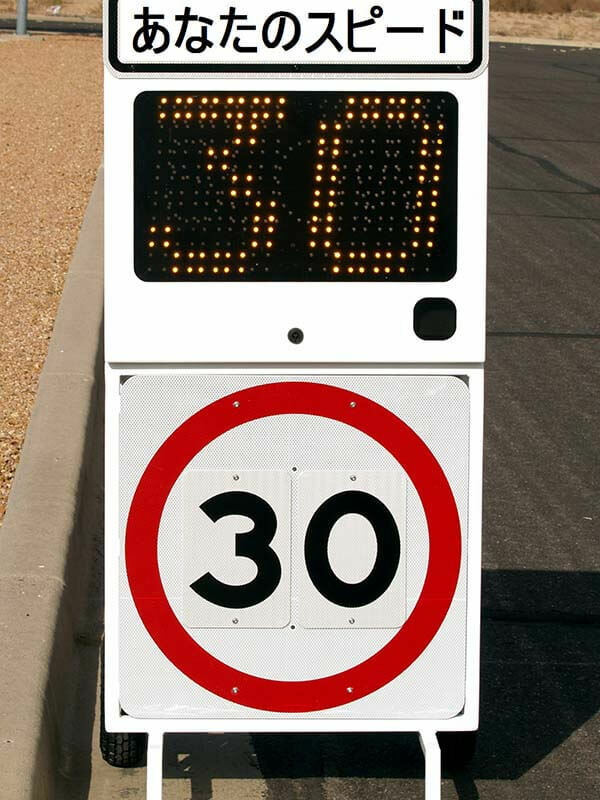 The optional “SLOW” and Red/Blues violator alerts give additional authority to the radar speed sign while built in features like the traffic management arrows lend the sign greater versatility and value. Dependent upon duty cycle, expect approximately 5 to 7 days service between charging of the aviation grade AGM battery. 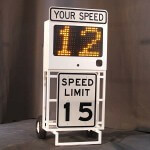 18″ x 24″ MUTCD R2 style “YOUR SPEED” sign with 05-35 MPH digits incl. 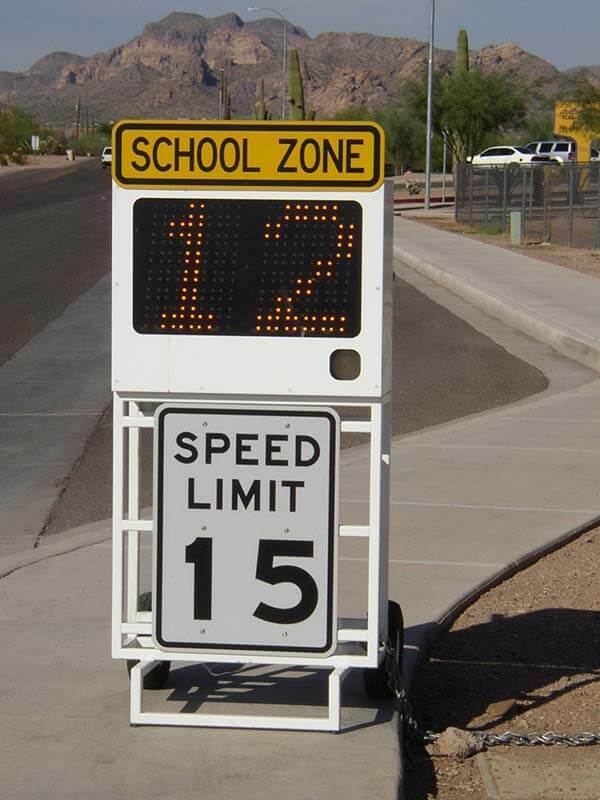 * Violator alerts may be set in 1 MPH increments in any order of hierarchy or individually disabled.